Professional Word users create and maintain documents that are used by others, and are of sufficient size that and cover sufficiently complex information that it is helpful to be able to reference information either within the document or information elsewhere that is related to the document. Today I’ll talk about some of the features to help out with this. Any document that is beyond 3 pages should have page numbering, because if you are ever discussing the document with someone else, the page numbers make it much easier to be “on the same page”. (figuratively and literally!) There is a good Microsoft video about how to insert or remove page numbers. Cross-Reference allow you to insert the name of a heading in your document, and if that heading changes later, it can automatically update. (The easiest way is to top Ctrl+A to select All, then tap the F9 key to update fields). This can be very useful for referring to an appendix in your document, like “See Appendix A for more information”, but that if that appendix later becomes Appendix B instead, the reference name will automatically update, when you update your fields, or you can have it say “See page 6 for more information”, and if the part changes to a different page number, it can get updated automatically. Cross-references can also refer to a lot of other types of items in your document, such as bookmarks, figures, numbered items, etc. There is a Bookmarks & Cross-References video on YouTube by David Murray that does a very thorough job of showing several of these ways of using cross-references. Hyperlinks are a real easy way to point to a website, or to some place else in the document. Making an external hyperlink is very easy to do, and it isn’t that difficult to be able to make a hyperlink to a heading in the document, or a bookmark. (Which is another good reason to use styles!) Check out GCF’s lesson on Working with Hyperlinks for a good tutorial. For short documents, that you want to reference a website, it is often nice to put in the full URL in a footnote or endnote. Footnotes are also good for asides in a document. 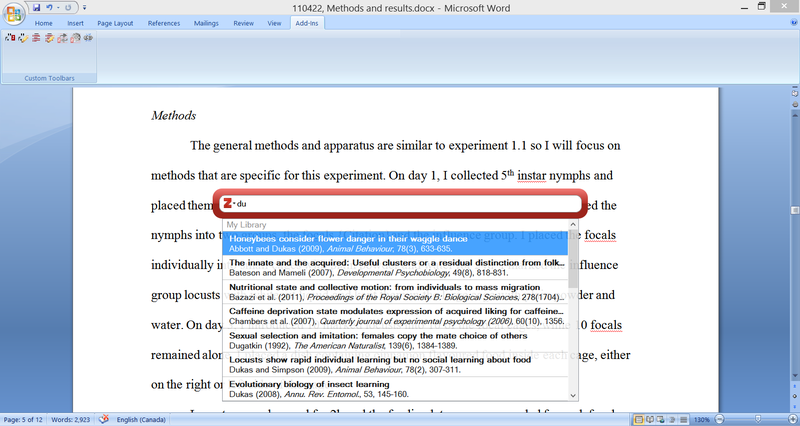 They are very easy to inert, and there is a nice quick tutorial on inserting a footnote or endnote by Microsoft. So how are you using these various methods of doing references? Tomorrow, I will have “bonus” 6th article about some of the other miscellaneous skills in Microsoft Word that professionals know how to use to make their work easier, more manageable, and require less rework.